This one’s Pho all you freebie hunters out there! 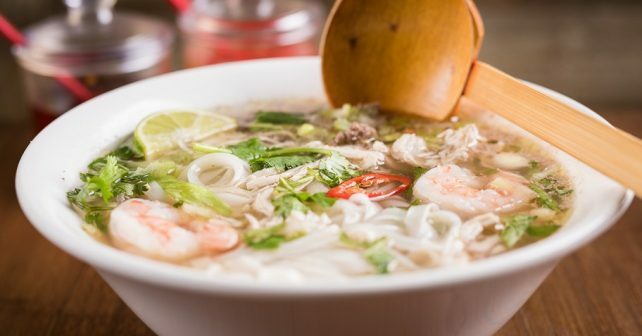 One newly refurbed restaurant is giving away dozens of traditional Vietnamese bowls of broth. And all you’ve got to do is show. Fitzrovia Pho is dishing up the FREE goodies to celebrate the reopening of their Great Titchfield Street branch. What can you choose? Happily, any of the eaterie’s 20 signature pho broths – including the classic Phở Chin with beef brisket and the vegan Super Green Phở with morning glory and pak choi. A perfect respite to the current dropping temperatures. As we always says, there is such a thing as a free lunch. First come first served, one phở per person.